Dr. Edward A. Wilson (1872-1912) is widely regarded as one of the finest artists ever to have worked in the Antarctic. Sailing with Captain Scott aboard 'Discovery' (1901-1904), he became the last in a long tradition of 'exploration artists' from an age when pencil and water-colour were the main methods of producing accurate scientific records of new lands and animal species. He combined scientific, topographical and landscape techniques to produce accurate and beautiful images of the last unknown continent. Such was the strength of his work that it also helped to found the tradition of modern wildlife painting. In particular Wilson captured the essence of the flight and motion of Southern Ocean sea-birds on paper. Returning with Captain Scott aboard 'Terra Nova' (1910-1913) as Chief of Scientific Staff, he continued to record the continent and its wildlife with extraordinary deftness. Chosen to accompany Captain Scott to the South Pole, his last drawings are from one of the most famous epic journeys in exploration history. Along with his scientific work, Wilson's pencil recorded the finding of Roald Amundsen's tent at the South Pole by Captain Scott. Wilson died, along with the other members of the British Pole Party, during the return journey, in March 1912. Many of the images in this book are rarely seen or are previously unpublished. The drawings and paintings were created at considerable personal cost in the freezing conditions in which Wilson worked. He often suffered severely from the cold whilst sketching and also from snow-blindness, or sunburn of the eye. They provide a remarkable testament to one of the great figures of the heroic age of Antarctic exploration. The book has been produced as a companion volume to 'Edward Wilson's Nature Notebooks' by two of Wilson's great nephews, to mark the centenary of his death. Dr. David M. Wilson, PhD. (Essex), FZS, was born in 1963. Having an early career in the theatre, he moved on to study at the United World College of the Pacific and the Universities of York and Essex, where he trained as a philosopher. He is also a trained Counsellor. With a strong interest in Aboriginal cultures, he also has a wide range of ornithological and natural history interests. These have led to ten years of working on Expedition cruise ships, where he is in increasing demand both as an ornithological field guide and as an historian. He boasts numerous explorers and ornithologists on his family tree, which add a uniquely personal flavour to many of his talks. Not least amongst these is his great uncle, Dr Edward Wilson, who died with Captain Scott and his party on their return from the South Pole in 1912. David spends much of his time working to promote our historic Antarctic heritage and is recently retired as Chairman of the Friends of the Scott Polar Research Institute in Cambridge, UK. 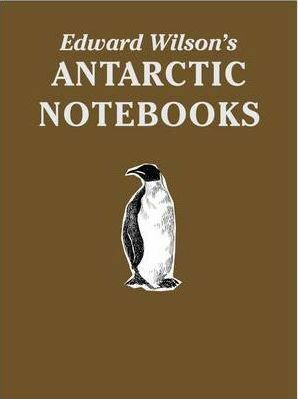 He is also the producer of several books (Cheltenham in Antarctica: the Life of Edward Wilson, Reardon Publishing, 2000; Discovery Illustrated: Pictures from Captain Scott's First Antarctic Expedition, Reardon Publishing 2001; and Edward Wilson's Nature Notebooks, Reardon Publishing 2004) and has also produced a CD of historic Antarctic expedition songs and poems (The Songs of the 'Morning': a musical sketch, Reardon Publishing 2002). All the royalties from these works are donated to support Antarctic heritage projects.--------------------------------------------------------------------------------------------------------------------------------- Christopher J. Wilson Dip Eco (Cork), FZS is the great nephew of Dr Edward A. Wilson, who died with Captain Scott and his party on their return from the South Pole in 1912. He is widely travelled, having spent time on all the continents of the world and has completed eight full seasons in Antarctica having first travelled to that Continent in 1999 on the Antarctic Circumnavigation. Born in the UK, he was educated in both UK and Africa, was a London policeman for 16 years and moved to Ireland in 1981. He completed a Field Ecology Diploma at University College Cork in the mid 1990s. Currently he is self employed as an Environmental Consultant based in County Wexford, Ireland specialising in field survey work (particularly birds). A highly respected ornithologist with over thirty-five years of bird ringing experience, in Ireland, UK and Australia, he includes in his scientific accolades the organisation of staff and volunteers in numerous ornithological surveys of national and international importance. Before taking early retirement in 2007, Christopher worked for the National Parks and Wildlife Service, for 16 years, serving as warden of Ireland's premier wildfowl reserve, 'Wexford Wildfowl Reserve'. He regularly contributes to a wide number of wildlife magazines, makes radio and television programs and featured in a half-hour television wildlife documentary on his work as a wildlife warden. He is an accomplished photographer contributing to numerous wildlife books. His own publications include: 'High Skies - Low Lands, An Anthology of The Wexford Slobs and Harbour' (1996); 'Wildfile - A Guide to Irish Wildlife' (1997); 'Wildlife Quiz and Amazing Facts Book' (1999)- with a second edition (2002); 'Edward Wilson's Nature Notebooks' - published in November 2004 and 'The Lepidoptera of County Wexford' (2009). Christopher lectures extensively on birds and wildlife and is the current chair of the Wexford Naturalists' Field Club. He states that his personal motto of "Birds are my Passion, Wildlife my Nature" actively describes his interest, love and passion for our environment and its biodiversity.